Happy Thursday! Today, I'm sharing my latest installment of my "How I" series where I tell y'all all about how I personally take care of everyday tasks to make life just a little bit easier. 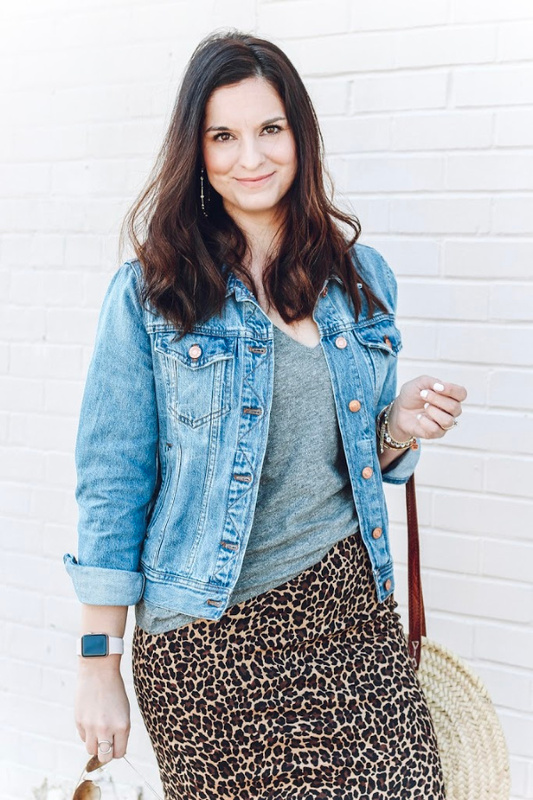 In case you missed it, so far I've shared How I Organize My Purse and How I Go Four or More Days Without Washing My Hair. 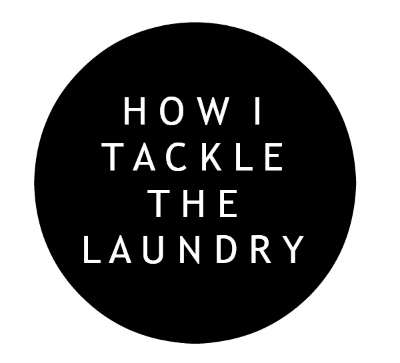 This time, I am chatting about How I Take The Laundry... which used to be one of my most dreaded household chores! Now, I know that this might not necessarily work for every household but it works great for our family of four. At the end of every evening, I round up everything from the laundry baskets and throw it in the washer. I never sort colors when I do our everyday laundry... except for my own clothing, which I do once a week in a dark colors and then a light colors load on the hand wash cycle. I only wash some of my clothes separately, mostly just my tops and dresses. I wash whatever we wore that day and another other dirty items from that day every night. This load is sometimes small and sometimes the washer is full. Our washes adjusts the water level depending on how full the washer is so we aren't wasting a ton of water by doing laundry daily. The next morning, I throw that load in the dryer (I've never had any issues with mildew or odor personally) and then I fold it as soon as it's dry or when I get back from taking my kids to school. The key is to fold it and put it away as soon as possible so that it doesn't pile up. Also, doing laundry daily, just one load, keeps me from overbuying items, especially for my kids. When I let the laundry pile up, I can't find what we need so I end up buying more items because I don't realize what we already have. Changing up how I do laundry has also opened up the idea of doing a capsule wardrobe per season for my girls. I'll keep y'all posted on that! 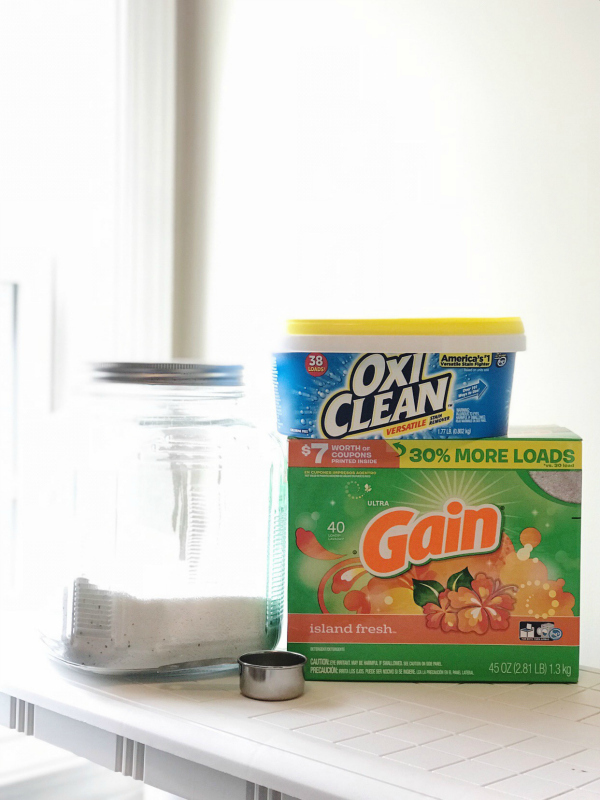 I am all about saving money so this trick makes your laundry detergent go so much further plus it cleans our laundry so well. I mix 3/4 Gain powder detergent and 1/4 Oxi Clean powder in a gallon size jar and then I add to tablespoons per load of laundry. One jar lasts our family over a month! 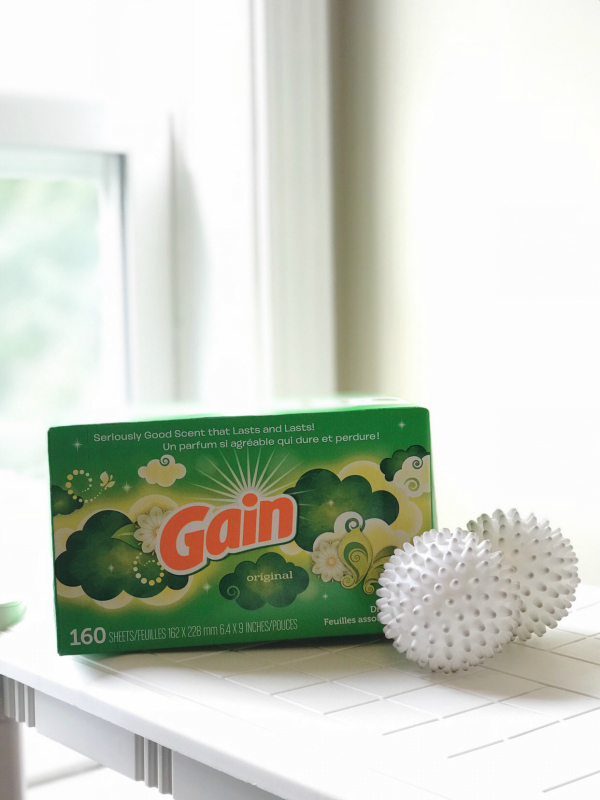 I am a big fan of all things Gain because it smells so good so I also use Gain dryer sheets. I throw one dryer sheet and two dryer balls in the dryer per load. The dryer balls cut down on drying time and provide extra static resistance. Having two children (and one who insists on using her clothing as a napkin), I have to have stain removing weapons on hand, always! I use this stain remover spray on stains and it works great. 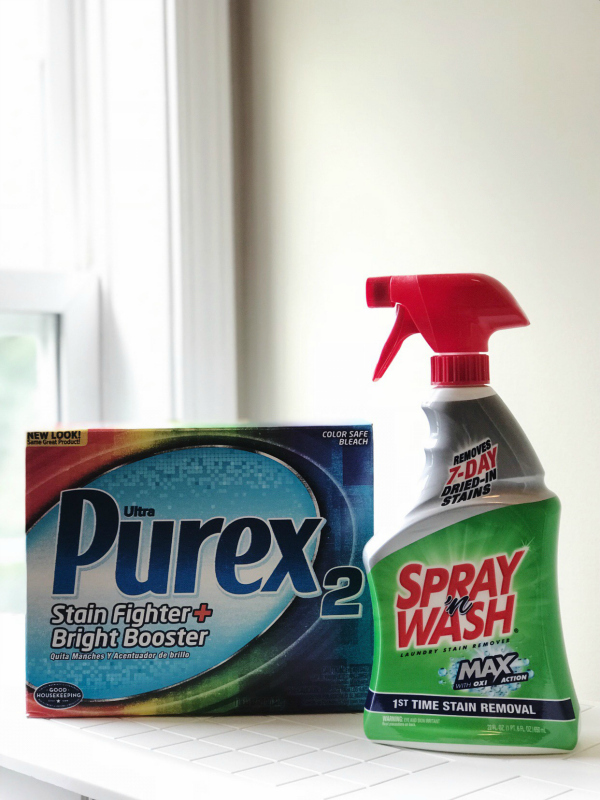 Sometimes I'll spray the stain and then add a little of this super budget friendly Purex powder to the stain for some extra help in getting it clean. I also add a scoop of the powder to my laundry on a pretty regular basis, especially if my husband's gym clothes are in the washer!